If the plans of the Tatas and Sikorsky (NYSE:UTX) go well, Hyderabad will manufacture helicopters in the next four-five years. India will emerge as a major hub for us for manufacture of helicopters, particularly S-92s, for our global market, Mr Scott Pierce, Regional Sales Executive (Worldwide Sales Asia) of Sikorsky, an United Technologies company, told Business Line. The two companies, which have entered into two agreements, have kicked off work to manufacture of cabins for the S-92 brand helicopters. The first cabin from the manufacturing line, set up near here, would be exported to the Sikorsky's assembly unit in the US in November 23 while two more would be delivered by the year-end. The facility would play a key role in executing the UK Government's Search and Rescue order for 28 S-92 helicopters. The $2-billion order involves 20-year support too. The company sold 36 S-92 helicopters last year. We are planning to ramp up the cabin manufacturing facility to deliver 36-48 cabins annually in the next few years, he said. At a later stage, the company would bring in capabilities to manufacture engines and other types of helicopters at the Hyderabad facility. While the first agreement between the two companies is for technology and IP transfer from the US helicopter major, the other is about setting up a joint venture to manufacture precision components for helicopters. While the agreement was signed in November 2009, the two firms were in the process of formalising the joint venture. 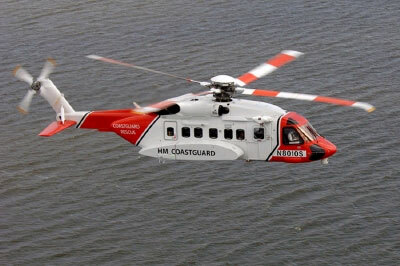 Mr Scott, who is here in connection with the second edition of the five-day India Aviation conference and showcase, said the company has bid a huge order of 16 Sea Hawks for Indian Navy and 8 S-76s for Coast Guard. As it establishes its base in India, the company appointed InterGlobe as its representative in India to scout for commercial orders, while it bids military orders directly. Meanwhile, the company is scrutinising probable candidates for the service of the helicopters it sells in India. We have shortlisted a final few, he said, refusing to comment whether the Tatas too were among the candidates.